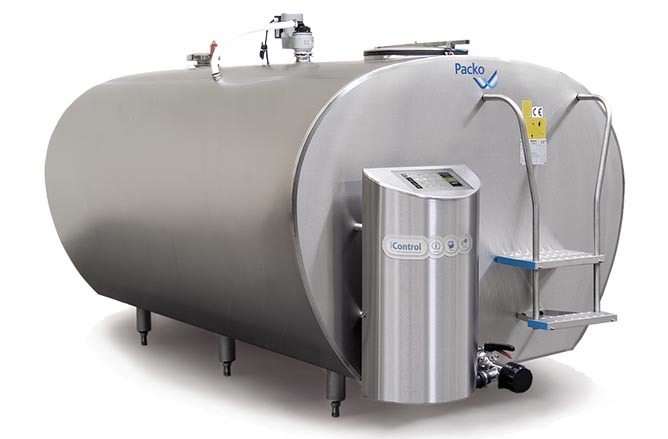 This unique cooling system is developed by Packo and is the best cooling system to maintain the milk quality. Ice water is used to cool down the milk in the insulated horizontal storage tank. This accelerates cooling by 50 % compared to a standard direct expansion system, without any risk of freezing the milk. Thanks to an ice water temperature of 0.5-1°C, there is no risk of freezing the milk and thanks to the storage of energy during several hours, small refrigeration units can be installed. The ice water, coming from a separate ice builder, flows through this heat exchanger ensuring rapid milk cooling. Ice water cooling has been used for many years in dairy farms and collection centres because it can cool large amounts of milk in a very short time. Ice water, used in combination with the tubular or plate heat exchanger, brings the milk under the critical temperature of 10 °C before it even reaches the tank. What’s more, combining the heat exchanger with well or mains water supply can lead to an energy saving of up to 50%. 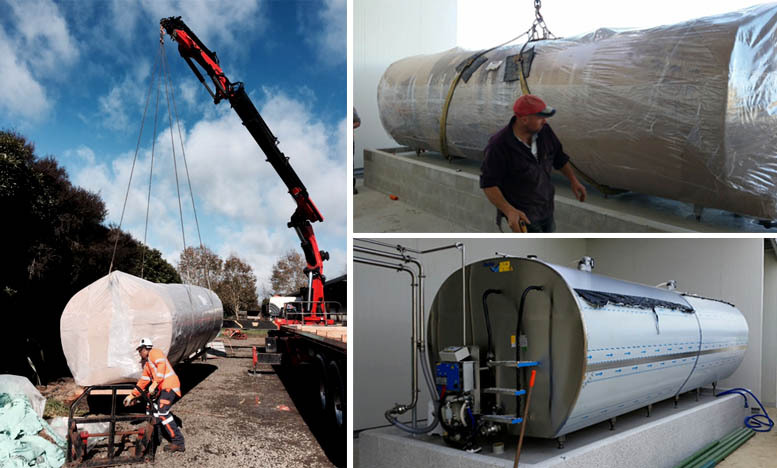 Follow the progress of our first Packo Horizontal Milk Cooling Tank installation here on our news page.